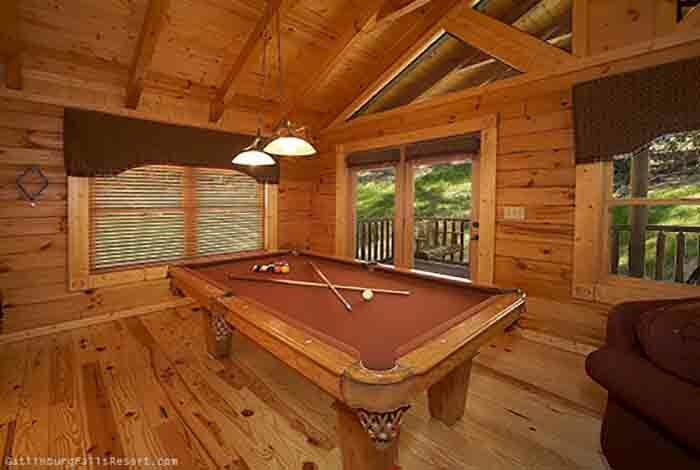 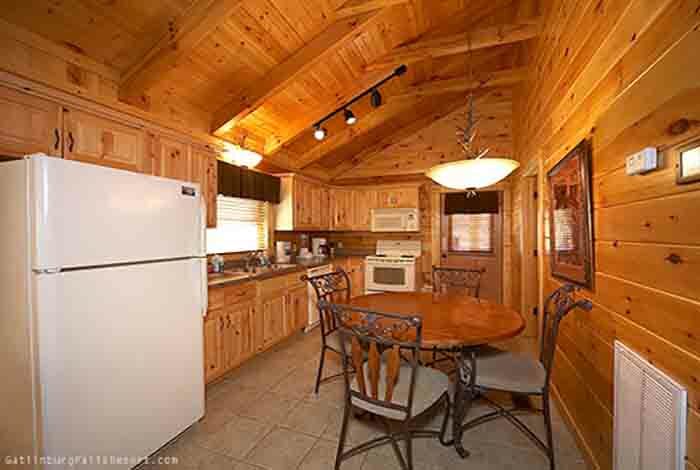 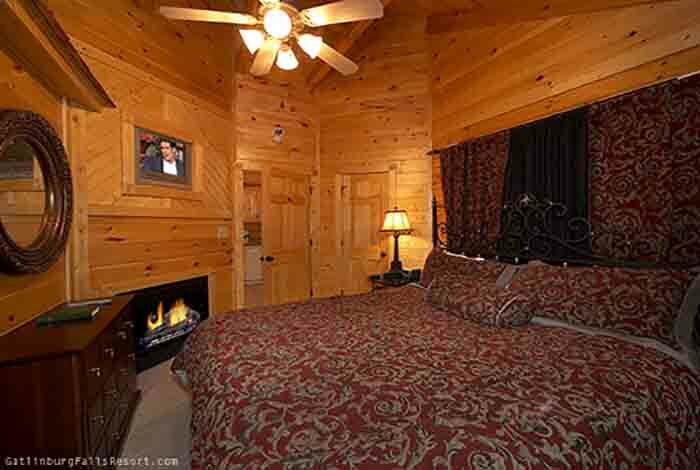 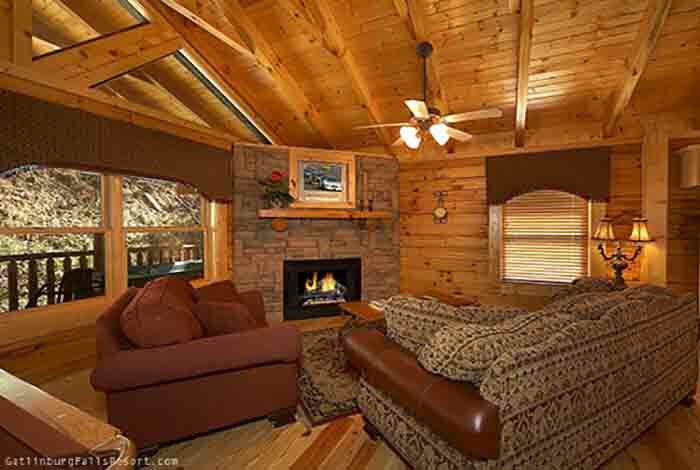 Tucked away in the beautiful Gatlinburg Falls Hidden Valley Resort sits Almost Paradise, a 1 bedroom luxury Gatlinburg cabin rental where couples can enjoy a romantic vacation that will not soon be forgotten. 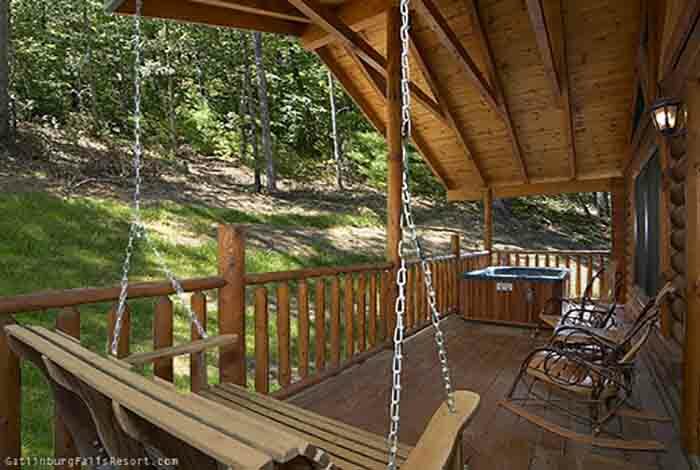 Relaxation is the theme on the back deck where guests can enjoy the serene resort views from their Amish rocking chairs, porch swing, or hot tub; while the interior sets a romantic mood with its lodge-style furnishings, vertical jetted shower spa, 2 fireplaces, king bed master suite, and heart-shaped Jacuzzi tub. 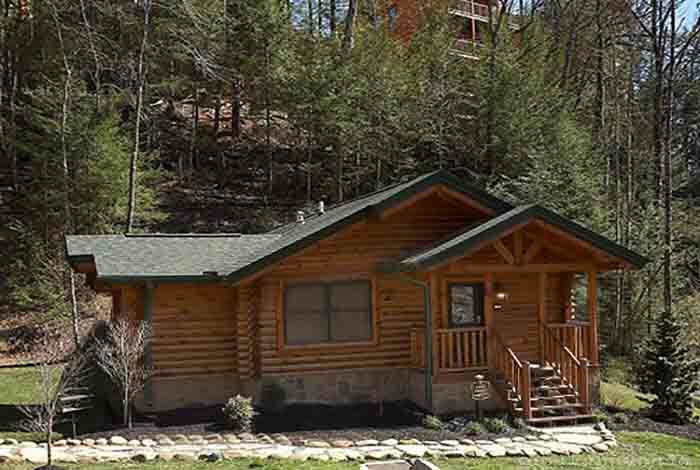 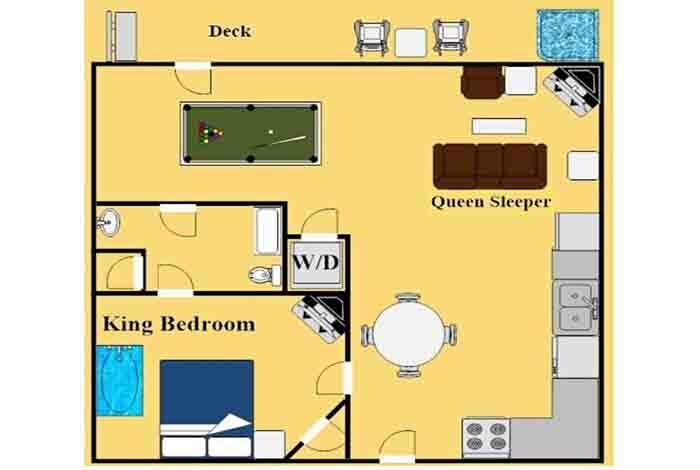 All this while being located just around the corner from the action of downtown Gatlinburg and minutes from the attractions of Pigeon Forge. 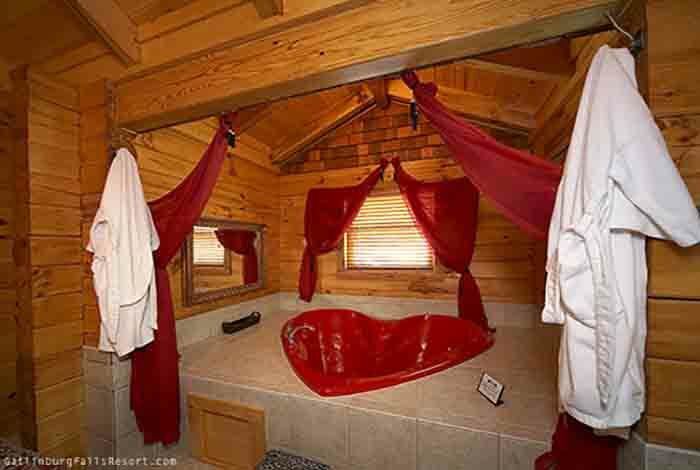 Guests also have access to the wedding facility and in the summer will gain access to the resort swimming pool located near the resort entrance at the foot of the mountain.